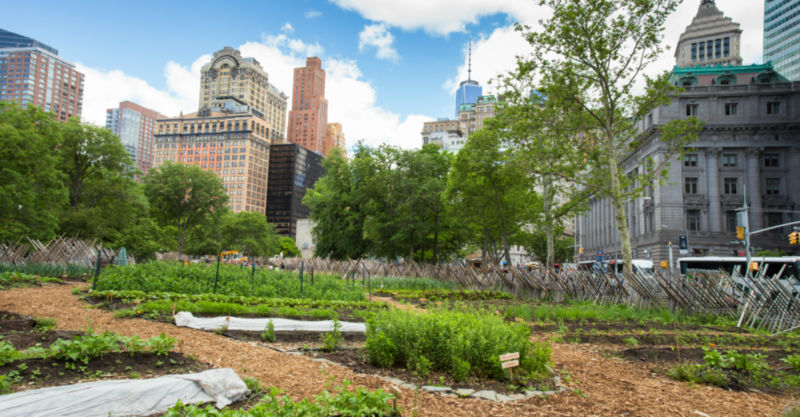 Urban agriculture is alive and well in New York City, and urban farmers come from a wide variety of neighborhoods and backgrounds. Let’s get to know 10 farmers who are working to bring fresh, local food to their communities. Aazam Otero is one of the founders of Morning Glory Garden in the Bronx, which is both a community farm and a space where individuals can tend to personal beds. Morning Glory Garden was founded in 2014, and its mission is to provide healthy, organic and affordable food to the community. Produce from the farm is sold at various Bronx locations. Aazam works full time in aviation but devotes as much time to Morning Glory Garden as he can. Food security and access to green space are extremely important issues for him. Favorite vegetable: Tomatoes, kale and rapini. Favorite farm fresh meal: I always like a fresh salad with spicy greens, and I like cooking down fresh tomatoes into a sauce for pasta, etc. Cara Chard is the executive director of City Growers, a farm education and advocacy organization that works with the Brooklyn Grange farm. Cara is a former New York City schoolteacher and uses her experience in education to teach children and teens about farming. Cara is also an experienced beekeeper. 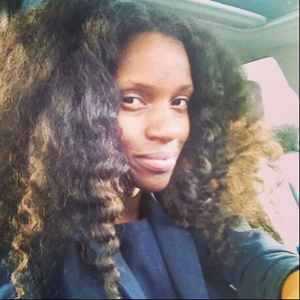 Iyeshima Harris is a farm manager for Ecostation New York and an organizer for the Youth Food Justice Network. 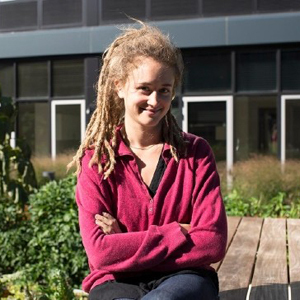 She is currently transitioning from being an urban farmer to being a political organizer advocating for food justice. 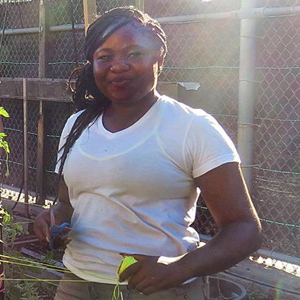 Iyeshima believes that urban farming is just one component of food justice, and she wants youth in the city to understand why people fight for food. Iyeshima also wants youth in the city to experience what she experienced growing up in Jamaica, where her great grandmother had a garden, and her family did not need to go to the supermarket for anything. Biggest challenge of farming in NYC: “Not enough space. You may think there’s a lot of empty lots that we can farm and grow in. In reality that’s not the case. The city might have its own purpose for that space. And even if they give us that space, there’s usually a contract that in 2-5 years they’ll take that space away from you. It’s painful for farmers when they’ve dedicated they’re time and energy and everything in resources that they can give, and for that to be snatched away from them, literally. What happens when a petition doesn’t work and the city still takes that space away from you? 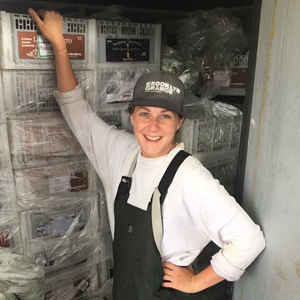 Janelle is Education and Immersion Trip Coordinator for The Youth Farm, which is located in Prospect Lefferts Gardens in Brooklyn. Janelle focuses on promoting community building, education, and wellness amongst visiting students, educators and families. Janelle teaches an Agri-STEM curriculum that she developed for children between the ages of 2 and 18. The curriculum connects The Youth Farm to New York City history, New York State Social Studies, ELA and math learning standards, as well as Next Generation Science Standards, all while teaching about food justice and food sovereignty. Favorite farm fresh meal: Steamed fish with onions, celery, carrots, tomatoes and okra…yum! Biggest challenge of farming in NYC: “I am still a very new farmer, and I am learning to balance the cost of living in New York City with the cost of farming in New York City. Teaching about sustainability and food justice while struggling to pay bills and eat three meals a day is a reality for a lot of urban farmers. Another difficulty in farming in New York City is the fear that one day the land you work on, teach on, build on can be taken. 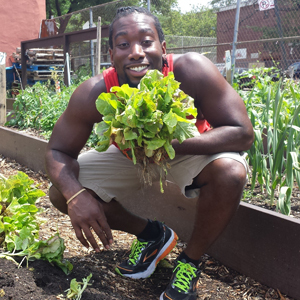 Keron Alleyne is the garden manager of Montauk Community Garden in East New York, which aims to bring together members of the community to grow food and improve quality of life in the neighborhood. Keron has lived in East NY for most of his life, and after he graduated college, he started farming because there was a lack of access to affordable fresh food in the neighborhood. He was also inspired by the elders in his family, such as his grandfather, who grew up in the Caribbean. Favorite vegetable: Kale. The variety and bitterness makes the experience sweet. 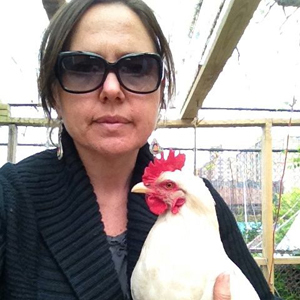 Lily Kesselman is the co-founder and director of the South Bronx Farmers Market and the founder of Brook Park Chickens, a community chicken coop in which the hen caretakers share the eggs that the hens produce. Favorite thing about farming in NYC: “I think local food just tastes better. I also like how urban farming really heals the environment and the soil and the earth. Urban farmers are really thoughtful and concerned about what’s going into their bodies, and so I feel the practices are great and it just tastes better. 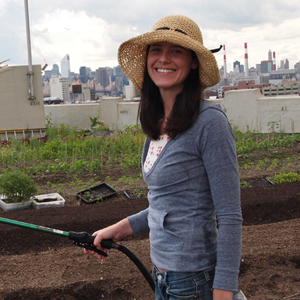 Liz Dowd is the farm manager of Brooklyn Grange’s flagship farm in Long Island City. Brooklyn Grange’s Flagship Farm and Brooklyn Navy Yard farm are the world’s two largest rooftop soil farms. Favorite vegetable: I’m going to cheat and say tomato. Although it’s a fruit, I just love those divas! Favorite farm fresh meal: The one I make for lunch everyday! A handful of fresh greens with some spicy mustards tossed in there topped with sliced cucumbers and tomatoes. Add a fried egg on the side if you’re turning a compost pile after lunch. Favorite farming book: While there are many classics, currently I am re-reading The Lean Farm. 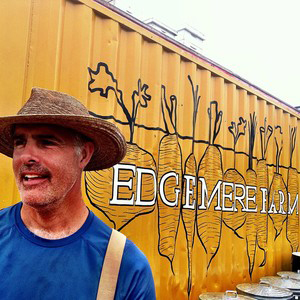 Matt Sheehan is the founder of Edgemere Farm, a half acre urban farm in Far Rockaway, Queens. Matt was a New York City public school teacher for 15 years. He first became involved with urban farming when his school participated in a farming program called Added Value in Red Hook. Matt continued to volunteer with Added Value, and he also helped start a garden at his school. Eventually, he founded Edgemere Farm, which has been running for five years. Biggest challenge of farming in NYC: “Space would be number one—getting space, securing space. And then the next biggest challenge would be what you’re gonna grow your stuff in. Soil is not static; it is ever evolving and devolving and needs to be fed. It’s a living organism that needs care and inputs and those inputs are just not easy to come by. 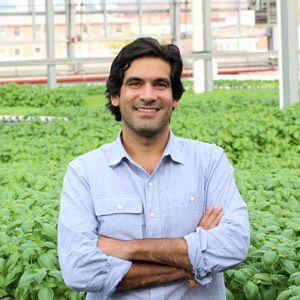 Viraj Puri is the co-founder and CEO of Gotham Greens, an urban farming company that grows food in rooftop greenhouses located in Gowanus, Greenpoint and Queens. Viraj was inspired to start an urban farming business while working with a New York City environmental engineering firm. 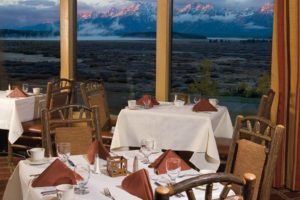 Viraj and his partners, Eric Haley and Jenn Nelkin Frymark, built their flagship rooftop greenhouse in 2011. They nowThey now run four greenhouses, three in New York and one in Chicago. 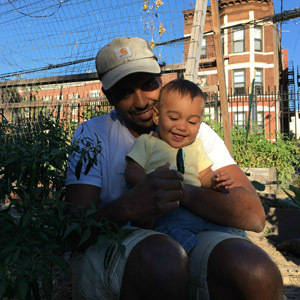 As an urban farmer, Viraj’s main goal is to provide city residents with a consistent supply of sustainably grown produce, and to make city communities more healthy and green. Favorite vegetable: All leafy greens. If I had to pick one I would say arugula. Zaro Bates is the farmer-in-residence for Urby Organic Farm, located in Staten Island. Zaro is in charge of maintaining the 4,500 square foot growing space, which yields over 50 kinds of produce. She also facilitates community engagement events, such as a veggie pick up bundle, a weekly farm stand, and public gardening workshops.